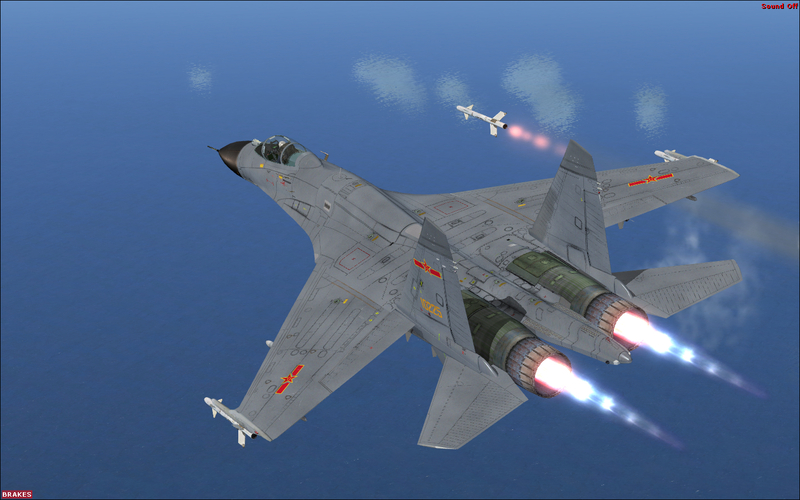 Bear Studios Shenyang J-11B提供百度网盘下载 - 『 FS9插件区 』 - AIRCN模拟飞行网 - Powered by Discuz! The Shenyang J-11B with NATO reporting name: Flanker B+ is a single-seat, twin-engine jet fighter based on the Soviet-designed Sukhoi Su-27 (NATO reporting name: Flanker) air superiority and Multi-role fighter produced by the Shenyang Aircraft Corporation (SAC). 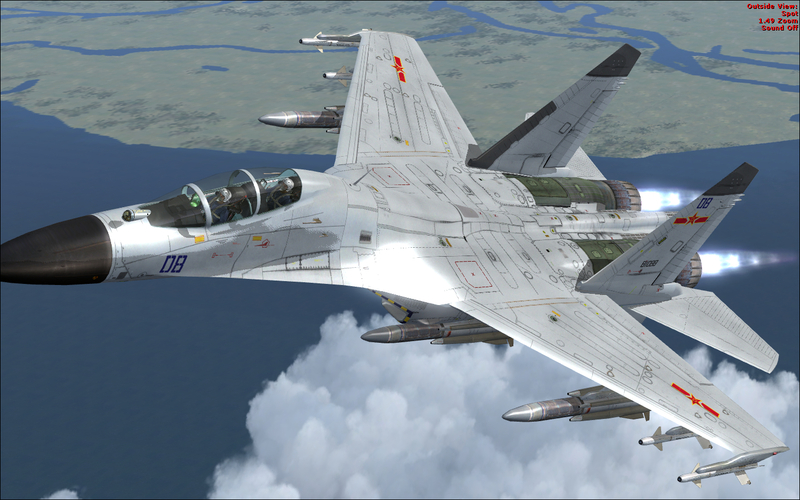 The People's Liberation Army Air Force (PLAAF) of the People's Republic of China (PRC) is the sole operator of the aircraft. J-11B is a 3.5 Generation multi-role combat aircraft capable of all-weather day/night operation. 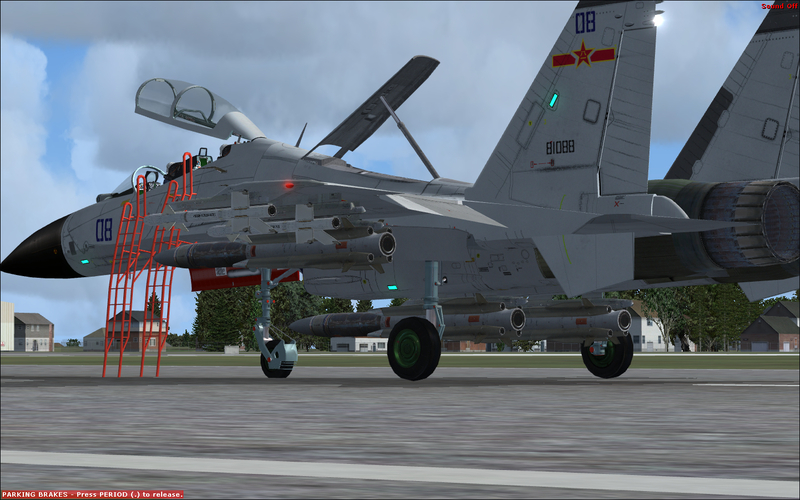 In PLAAF, J-11 takes similar position as F-15C Eagle and F-15E Strike Eagle in USAF. 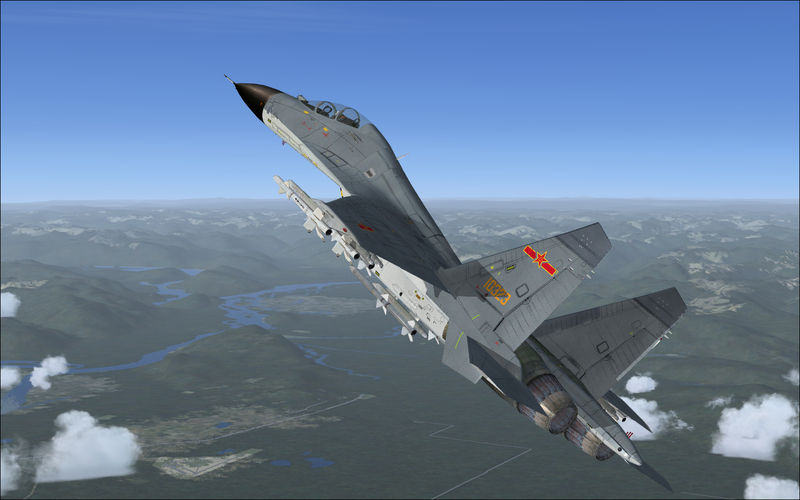 The J-11B Flanker B+ from Bear Studios is an accurate and in-depth simulation product for Microsoft Flight Simulator 2004 & FSX (ESP/Prepar 3D). 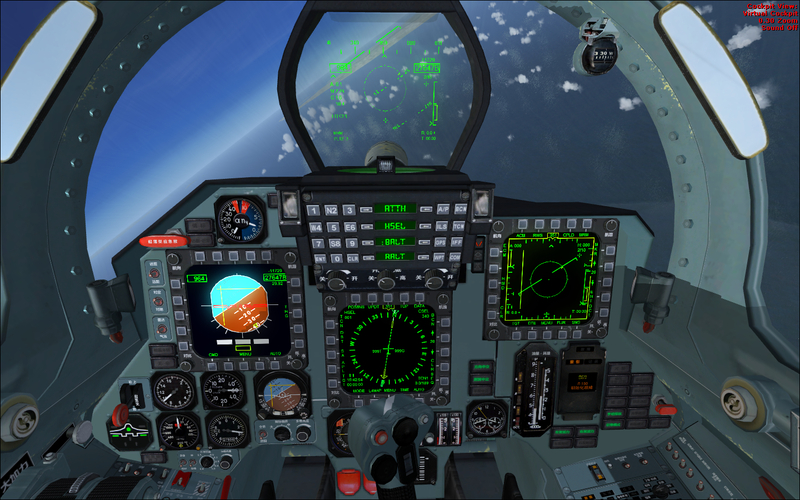 In this product, we make complex systems and operating procedures simulating reference from a real combat aircraft. 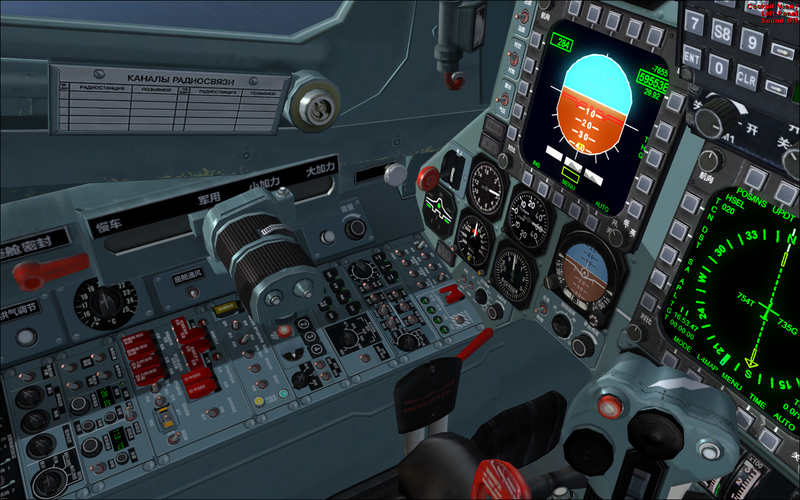 Note: For flight simulator versions differences and limitations, not all animations and/or features may function during solo or multiplayer flight. 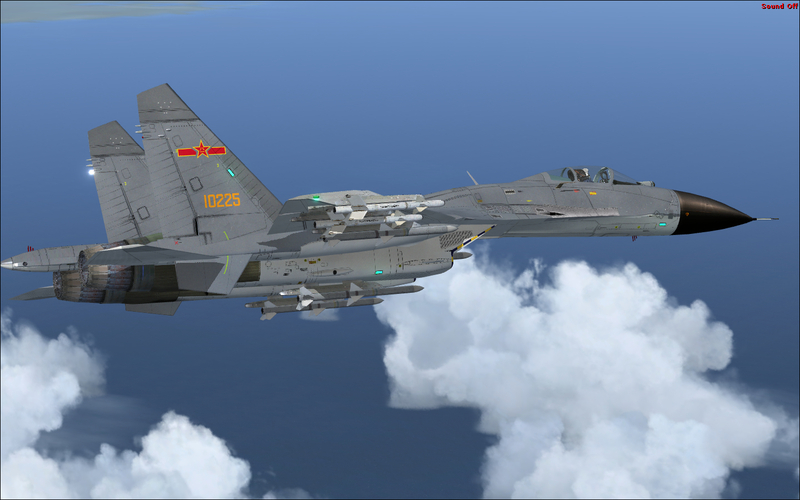 In depth simulation designed for aircraft system based on official published papers related to Engine, Hydraulic Machinery, Avionics, Radar, Flight Control and Navigation system on J-11. Highly efficient and detailed external modeling for J-11. Delivery and Jettison sequence recreating from real aircraft. Weapons and storages individually modeled with weight. When selected weapons/storage released from aircraft, SMS (Storage Management System) will detect status and take dynamic changes. Custom keystroke mapped to gaming devices for HOTAS setups. KLJ-11/N-001VE Multi-role Fire Control Radar and Electrical Optical Sensor (EOS/IRST/LDT) system simulation. This system has 5 main modes, for searching detecting and calculation of fire control solution to designated AI target and/or selected fixed ground target, Radar with 6 difference scan sub modes related to proper weapons or working functions: CRM/ACM Mode for air target, GMTI Mode for ground moving target, FTT Mode for ground fixed target, NAV Aid (Beacon) Mode, AIFF for ACM/CRM combined Modes, EOS/FLIR/ IRST system simulation. Stand-alone LST/LDT or coupled working with FCR Radar, Integrated Fire Control System simulation, Ground Control Intercepting System (GCI) simulation. J-11B can carry China build Air-Air missiles and all type of air-ground guided/unguided weapons, Upgraded J-11A/SU-27SK/UBK in J-11B develop program can carry Russian missiles and unguided air-ground weapons. This different reflects current status from China PLAAF`s flanker fleet. Fully animated canopy and ejection sequences. Procedural animation system including: Missile launches (7 types, with smoke tail and flame attached to animated missiles shape). KAB/FAB Bomb release (4 types, with animated bomb delivery). Rocket launches, with smokes tail and flame attached to rockets shapes Jettison (emergency or selective). Full pilot articulation with autonomous movement and gesturing. Build-in FCS controlled flight control surfaces. Real functional Drag Chute, animated and rotated by conditional status, deploy with real limitation related to real aircraft. Gsh-30-1 Gun system and effect simulation. 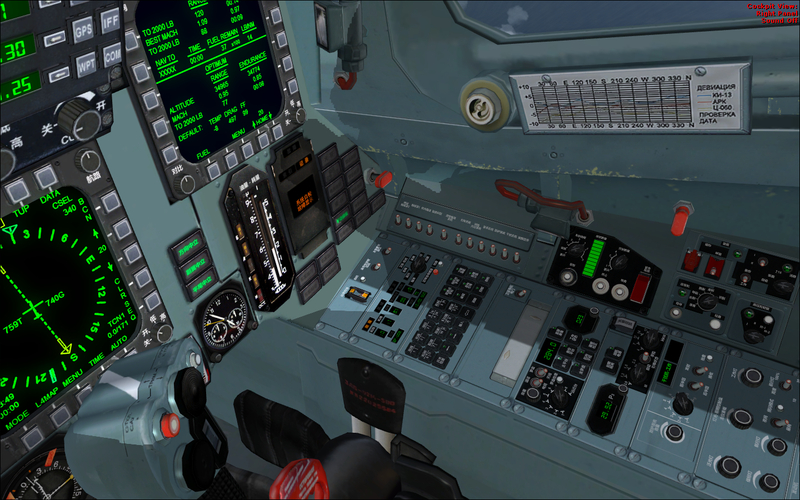 Cockpit sound system for warning and advisor voice (FSX only). Built-in exterior lights for landing, taxing, Dim-able navigation and beacon lights. EOS/IRST/FLIR LST and LTD simulation (no IR imagery). Stand-alone ECM/ESM system with advisor display. 8 models with different typical payload configurations reference from real J-11B aircrafts. 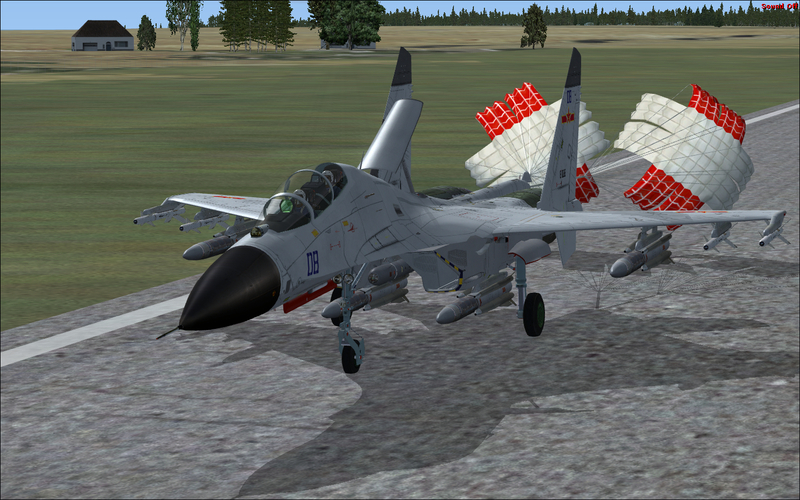 Additional J-11A /Su-27/UBK models for carry Russian upgraded weapons and systems. Custom Auto Throttle for Cruise, Approach and Takeoff Status, continually adjust by Flight Control System. Custom in-flight waypoint reprogramming via build-in GPS system. Coupled Beacon (Ground-based Beacon navigation). 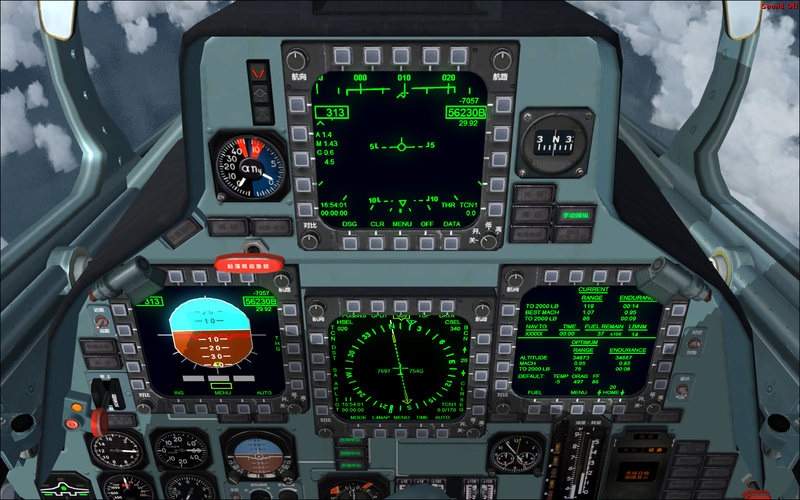 Manually select mach number and flight altitude for auto pilot and radar intercept system via build in control panels. GMT+8, 2019-04-26 10:24 , Processed in 0.294945 second(s), 49 queries , MemCache On.